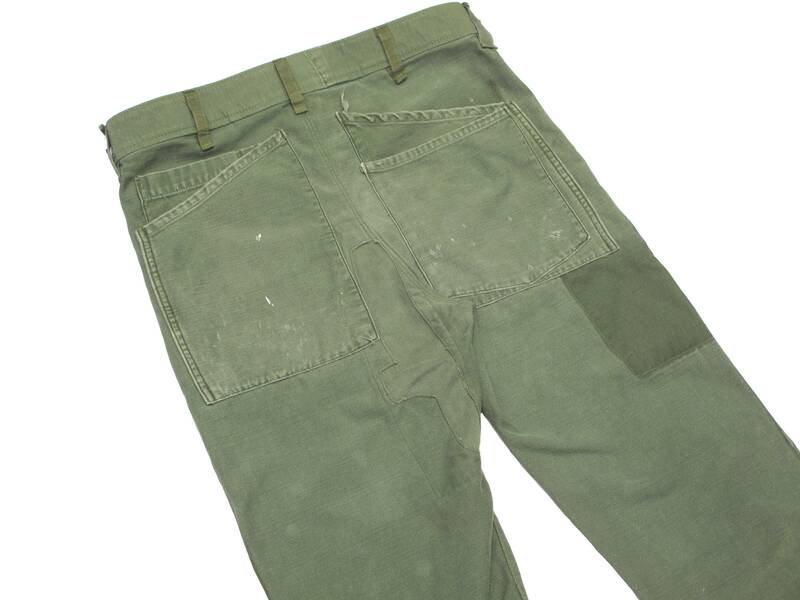 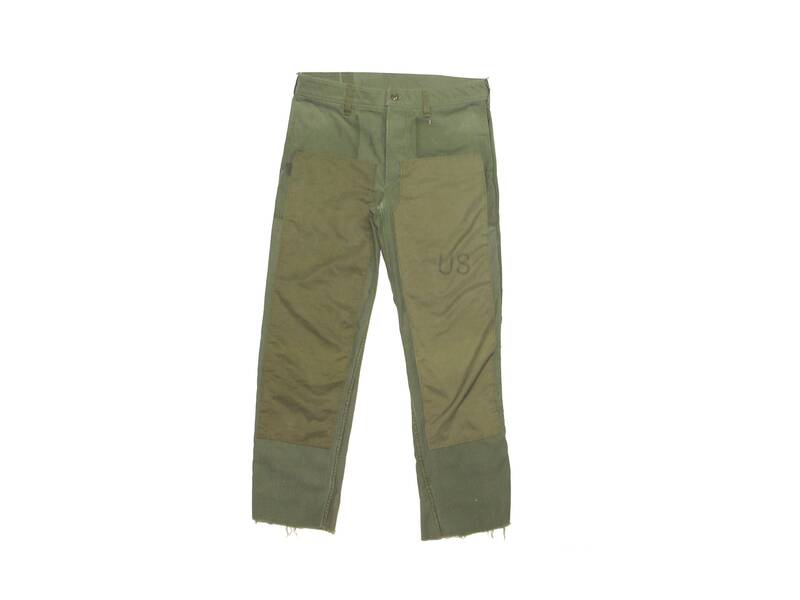 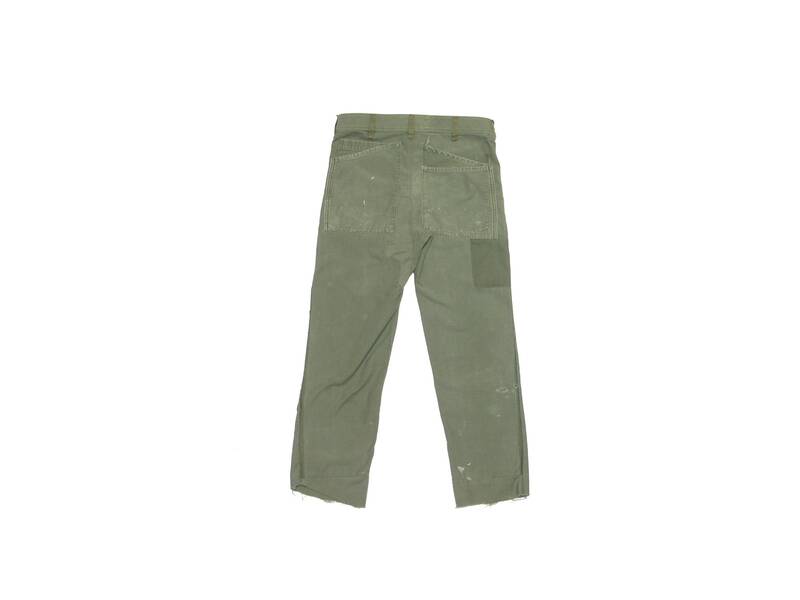 double front work pants. 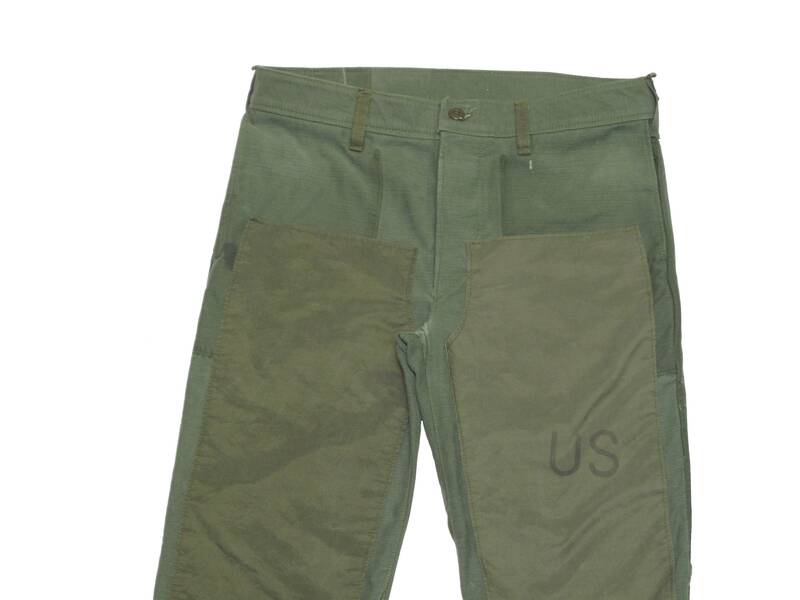 made from a destroyed pair of sateen military coveralls. 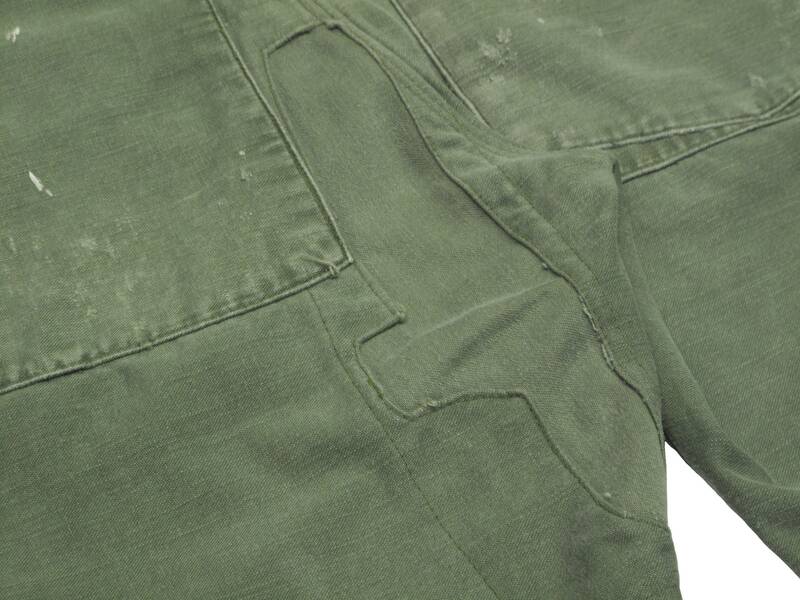 coveralls were deconstructed and the pockets were used in their natural shapes as multiple back pockets. 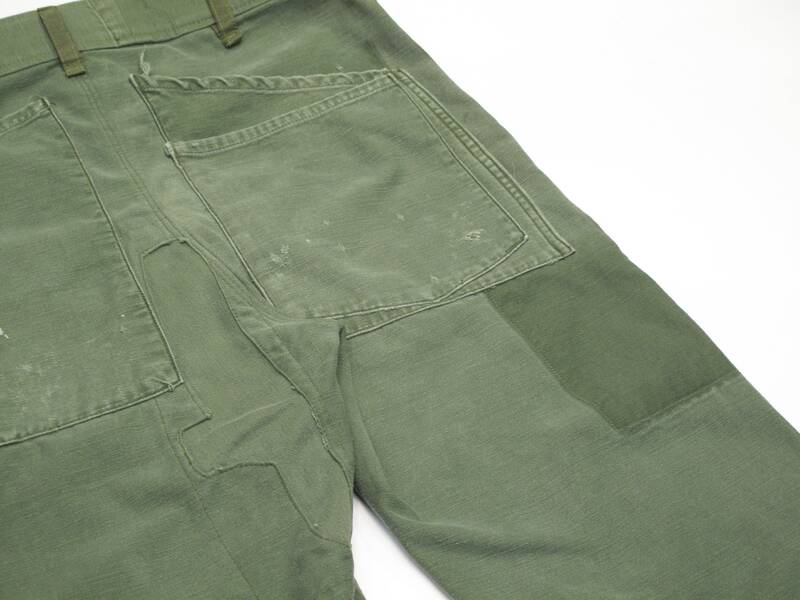 front pockets are in the side seams. 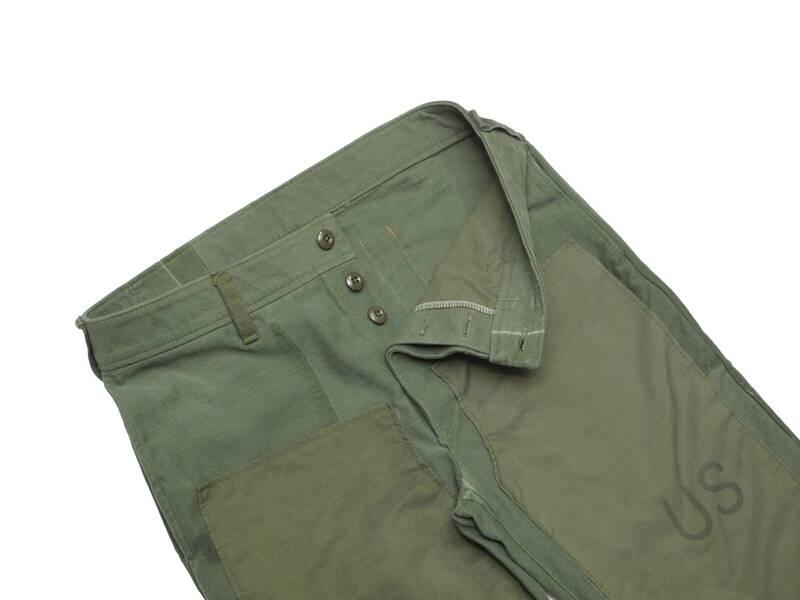 button fly using the coverall buttons. 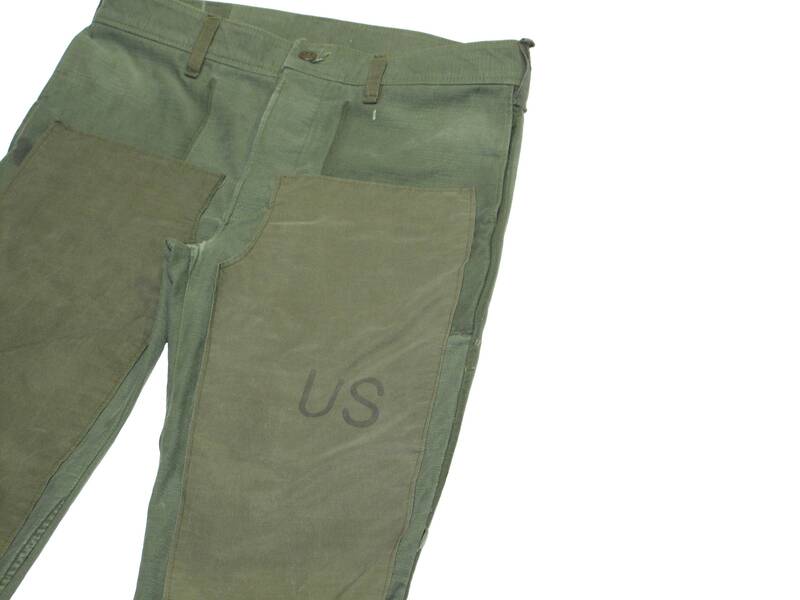 front reinforced with poplin barracks bag fabric, stenciled with a large US. 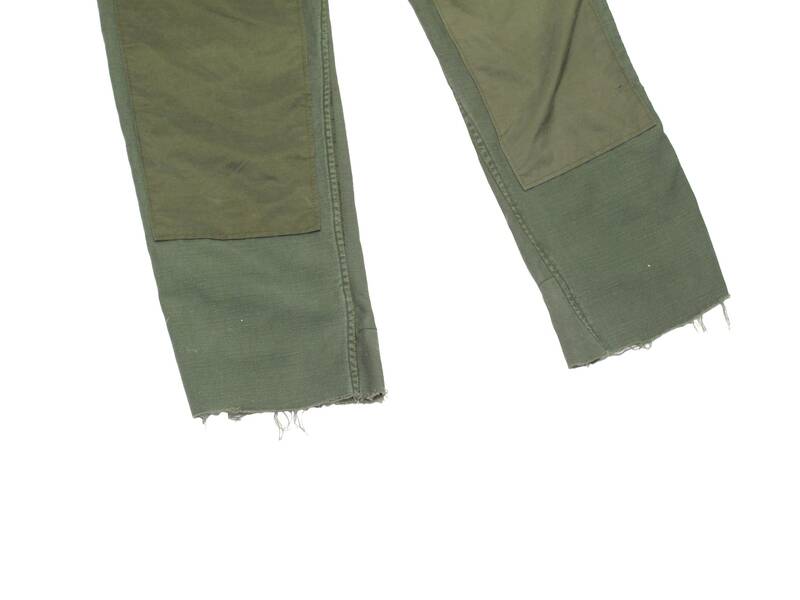 hems left unfinished.